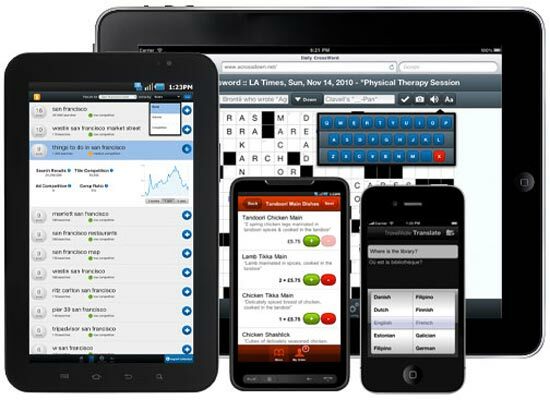 Nowadays, mobile apps are complementing the functionality of smartphone. They have become the most important tool for users as they make the mobile phone smarter. Today, mobile apps are playing crucial role in the life of users. With the help of mobile apps, users can organize the meeting, explore the product, get the appointment with doctors, know direction towards destined place and lots more. 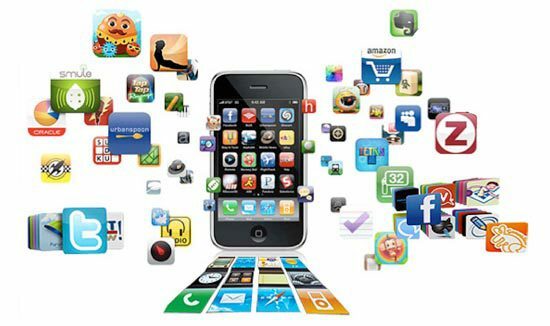 Today, total market value of mobile apps is estimated to be around US $ 20 billions and mobile apps’ market is about to grow around US $ 24 billions. From this, you can have an idea that how bigger is the mobile apps market. Most of the business owners are deciding to deploy mobile apps, so that they can simplify their business process and promote their brand. But, before investing in apps development, it is very significant to be aware of different kinds of mobile apps present in the market. There are three types of apps running in the market, Native, HTML5 and Hybrid Apps. All three apps are successful in different purview. Let’s have a glimpse over the introduction and features of these apps and then check, which will finally suit for you professional or personal purposes. Owing to ubiquity of web browser in every smart phone, HTML5 apps (Web Apps) have become very popular. Web apps are the applications that run on smart phone with the help of web browsers. These are coded with limited features. That means, they are not completely native-friendly. To run the web apps, the constant access to the internet should be maintained. HTML5 apps can be helpful in solving multifaceted business challenges, you can deploy various business-oriented operations, like CRM (Customer Relationship Management), ERP ( Enterprise Resource Planning) and lots more. 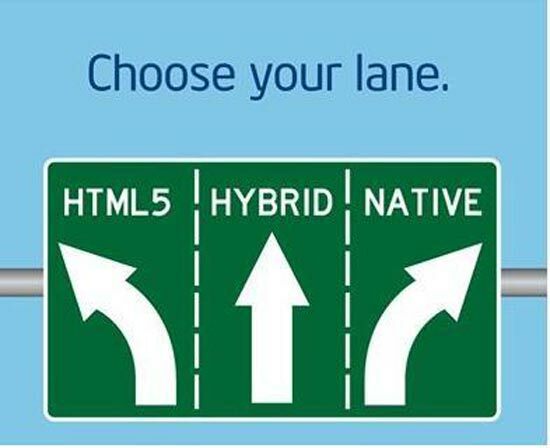 HTML 5 is good for developing internal apps that ensure effective B2C and B2B communication. These apps are easy to market in every corner of the world. The most important things that should be cared during developing HTML5 apps are that they should be coded Search engine friendly and the content in these apps should be organized in such a manner that it gives same look and feel on different smartphones. A Native app is completely opposite to web apps. 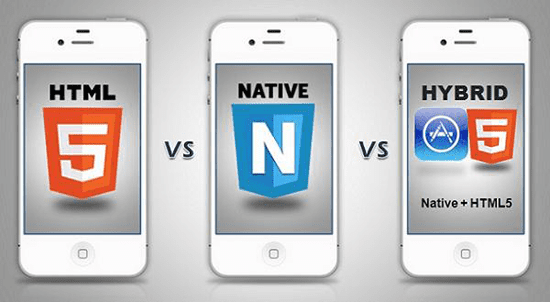 Native apps are the advanced and expensive applications as compared to the HTML5 apps. Building Native apps requires expertise in C++, Java or Python programming. Secondly, it should be coded multiple times because there are various platform available in the market, thus to reach maximum audience the native apps are coded multiple times as per the platform. Native apps run faster, they bestow general look and feel with pleasing user-experience and can be marketed through app stores. 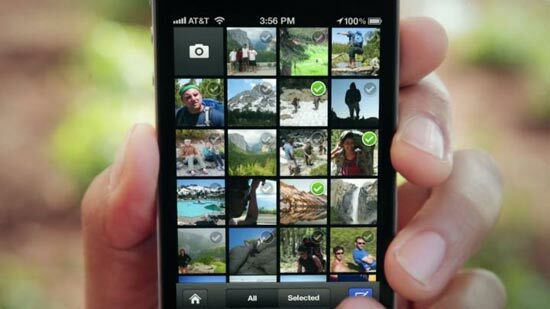 Native apps allow the user to access every feature of phone, such as camera, notification memory storage and lots more. Owing to such a beautiful aspect of Native apps, various giant companies, like Facebook, Xero and many more have transformed their HTML5 based apps to Native apps. Hopefully, you are now aware of three kind of Apps very well. Now, you are wondering what technology should be adopted for your business! Before committing to a specific apps, think about the user experience (fastest performance) and functional-features (what the apps will do). As per user-experience, if you want to build game like applications or such application that should bestow fastest response, then the Native app would be the answer. But, this will cost you much higher, thus it will be better to choose Hybrid Apps. The Hybrid apps are very much beneficial, if you want to code application that can utilize features such as Geolocation, Camera and other sensors. Hybrid application can run on multiple mobile platforms and bestows same feeling as well as experience. Web apps or HTML5 apps are like a website with responsive features and are functional to endow various business task.